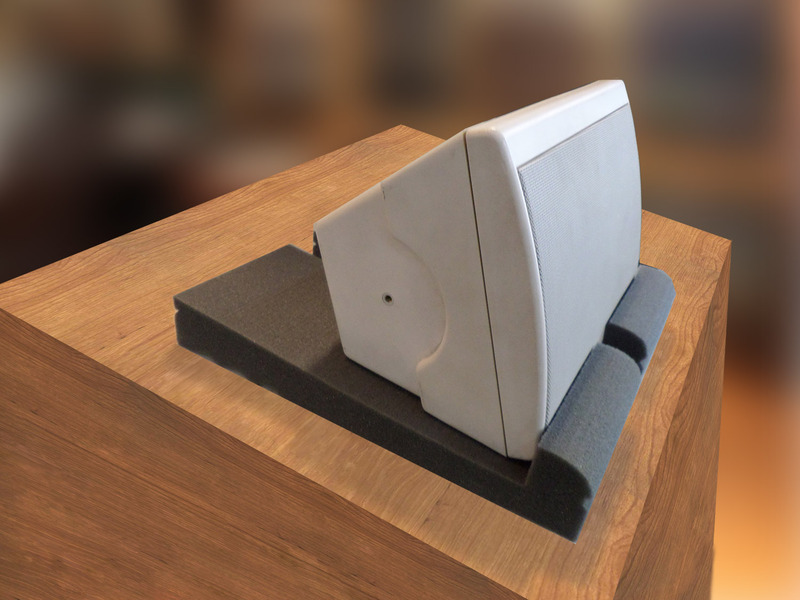 A speaker Foam Pad (FP), for near field monitor speakers. 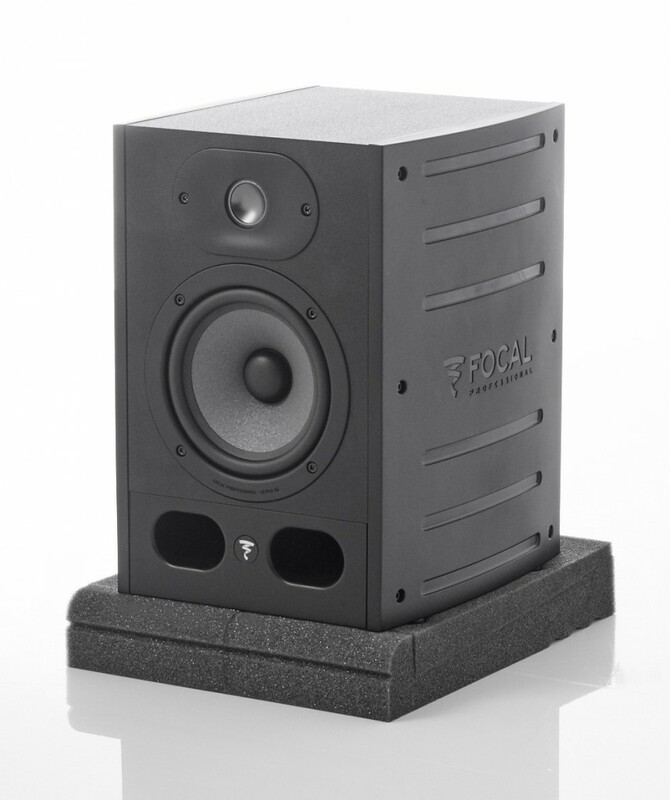 POLYFON- FP is an anti vibration Foam Pad (FP), for near field monitor speakers. 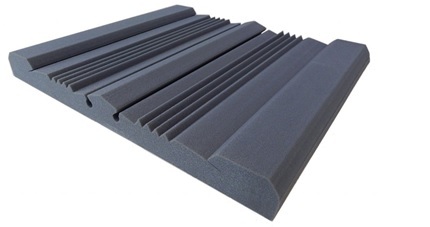 It is produced by high quality, flame retardant, dark grey, polyurethane foam. 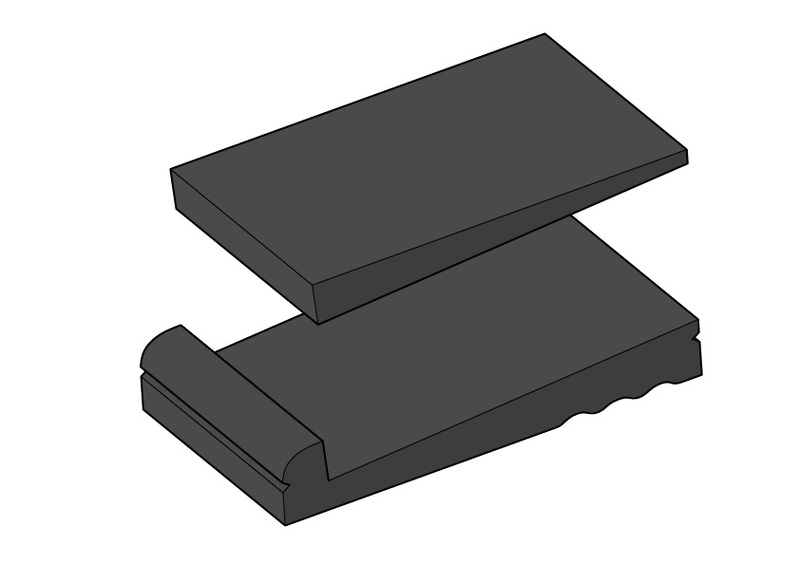 It consists of two elements, the base part and the upper wedge. 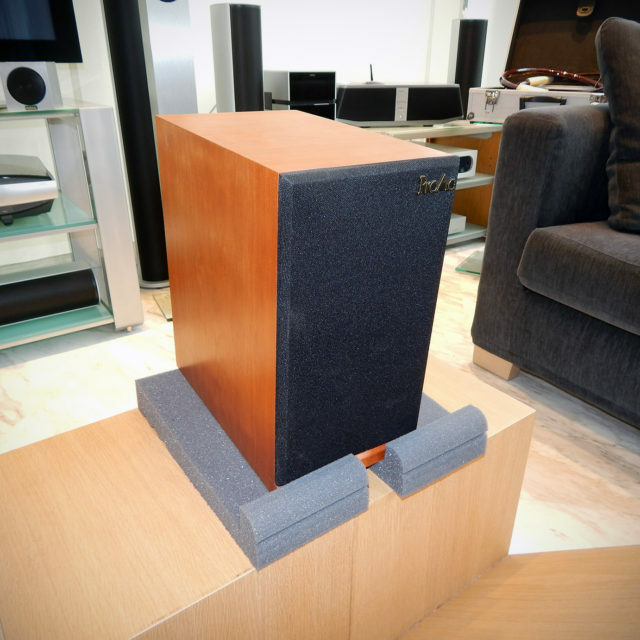 No metal parts in its construction are included to avoid undesired resonance. 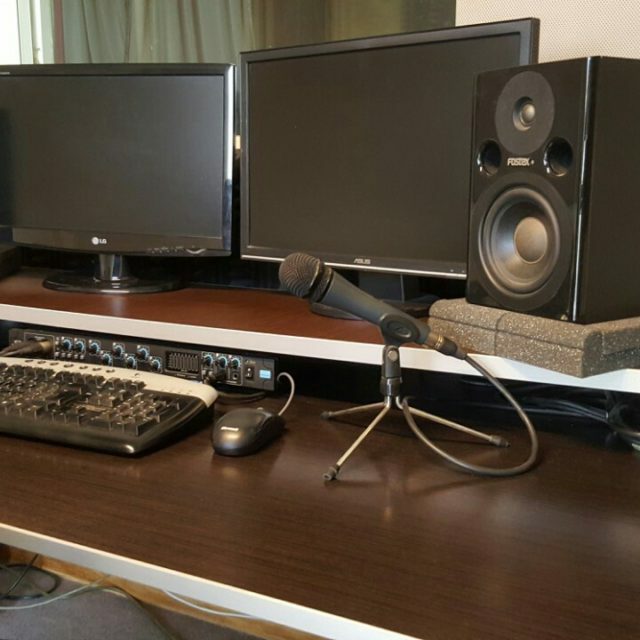 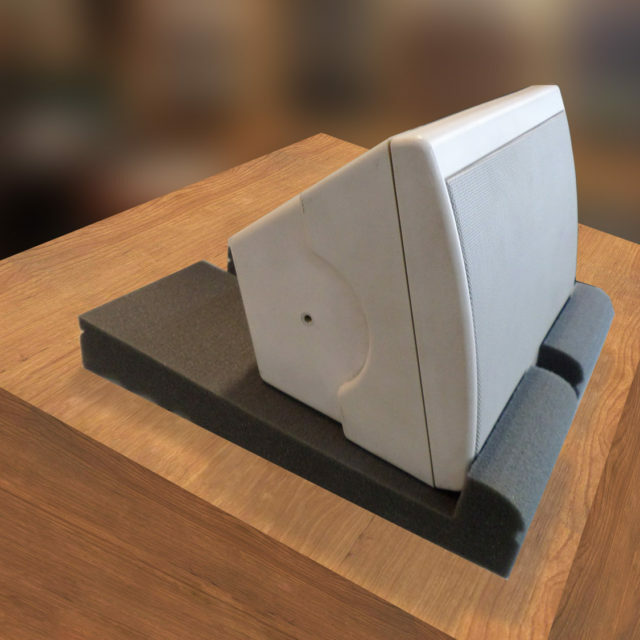 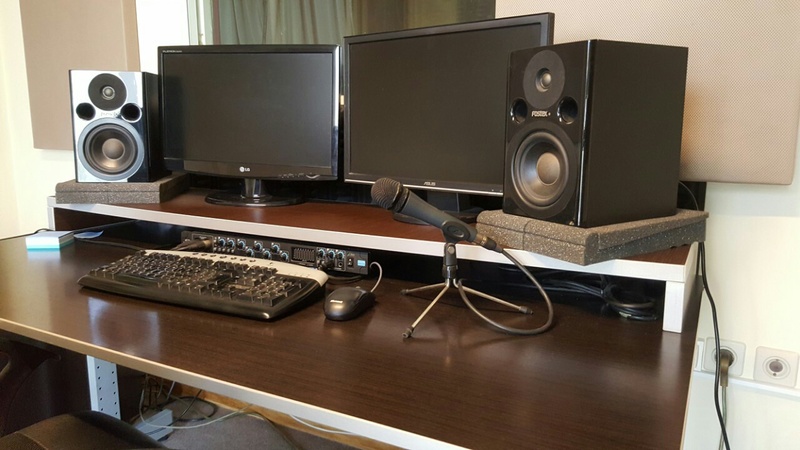 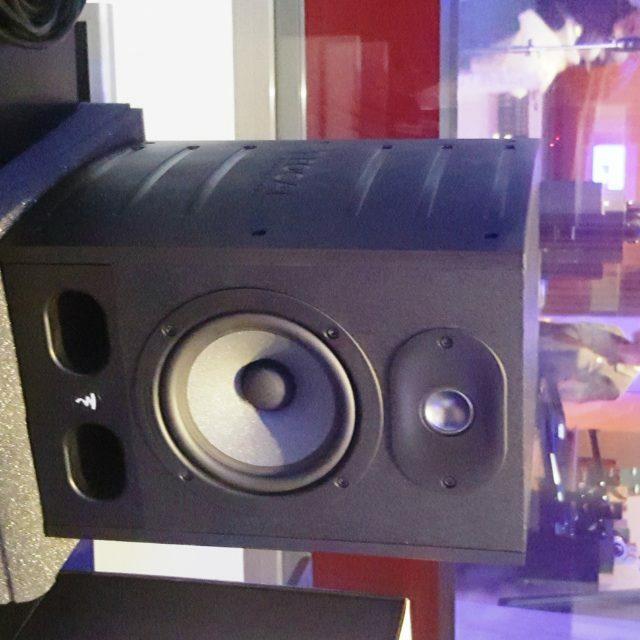 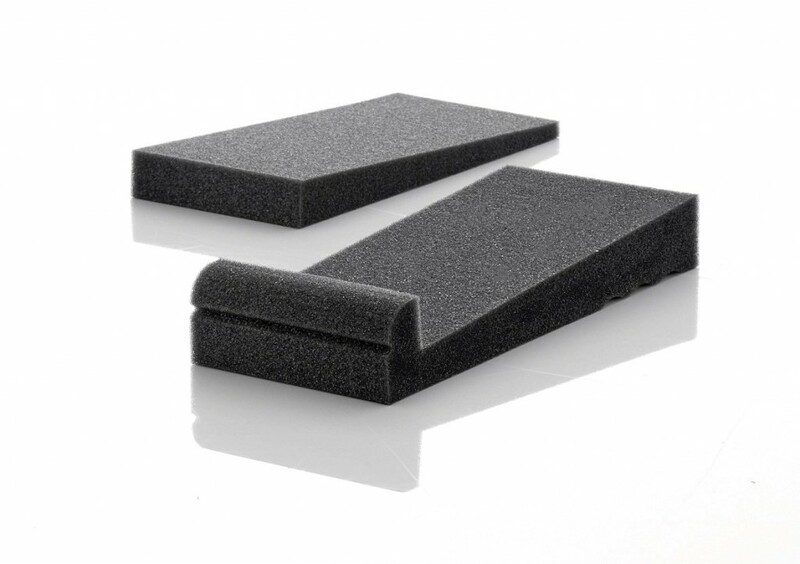 This specially design foam pad, improves the sound from the monitors, by preventing the transmission of acoustic energy from speakers to the underlying desk. 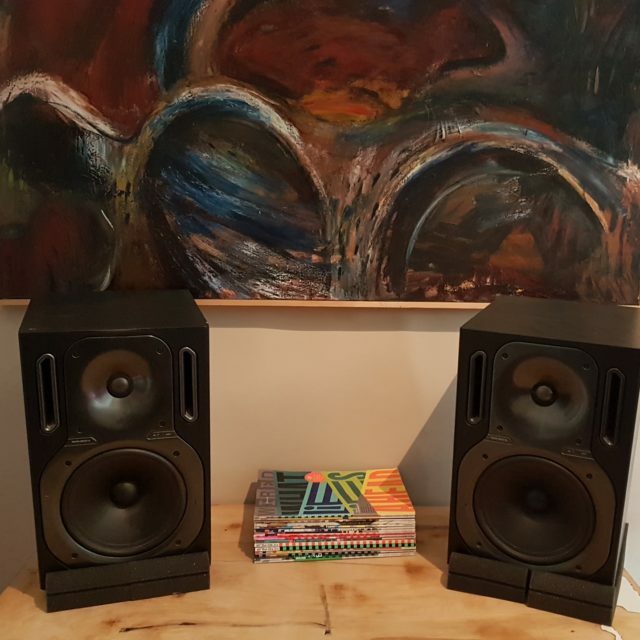 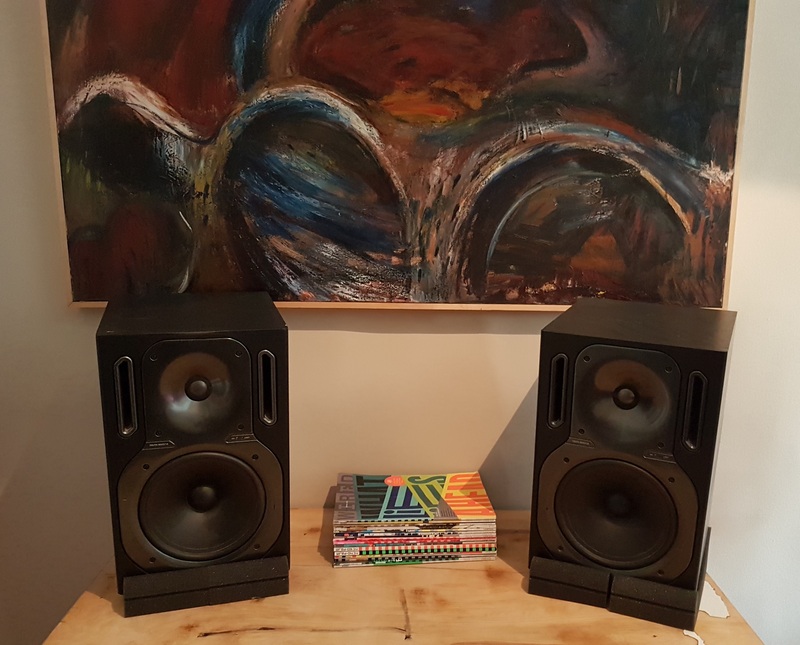 They improve specially the middle range resolution, increase the low frequency definition, eliminate also the resonance effects and increase the clarity. 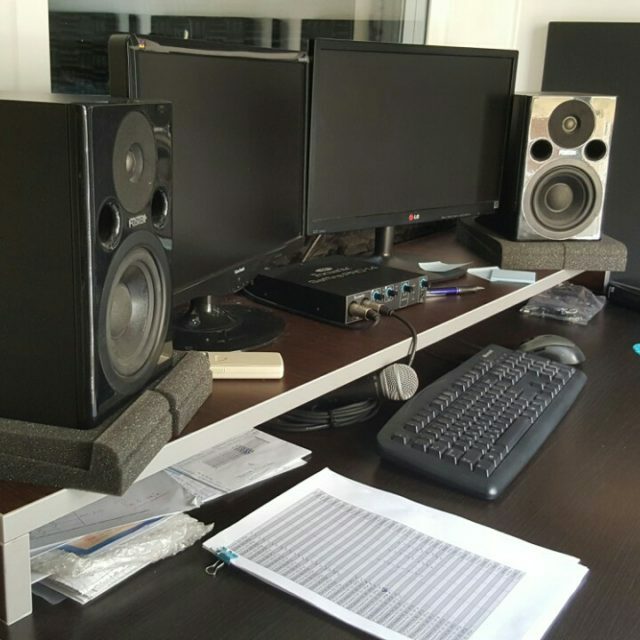 POLYFON- FP packing is composed by 4 pad sets, 2 for every monitor. 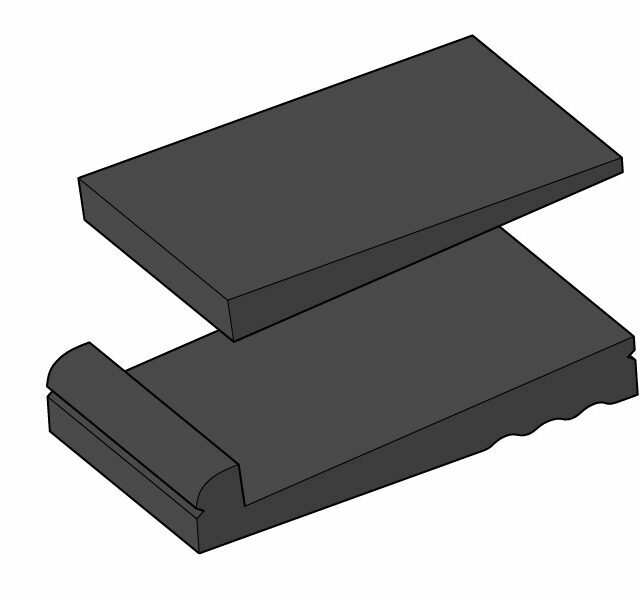 Each set consists by a base part and a wedge part, so that can be easily be adoptable in a lot type of monitors (heavy/large or vertical/horizontal applications). 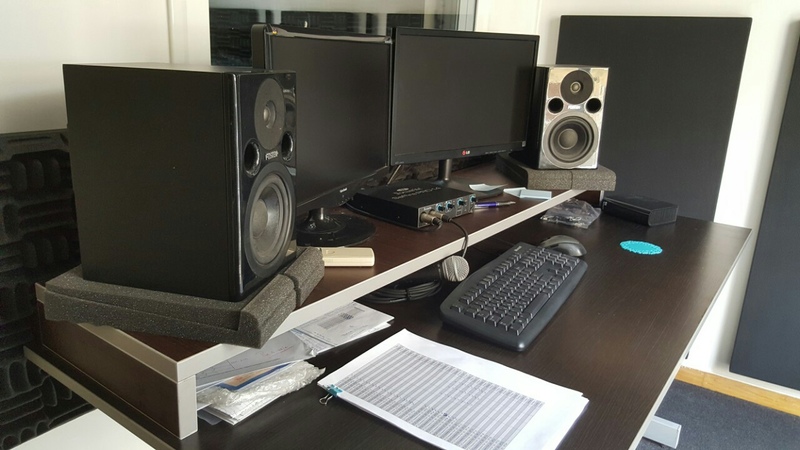 For small monitors, may be sufficient the use of only one piece. 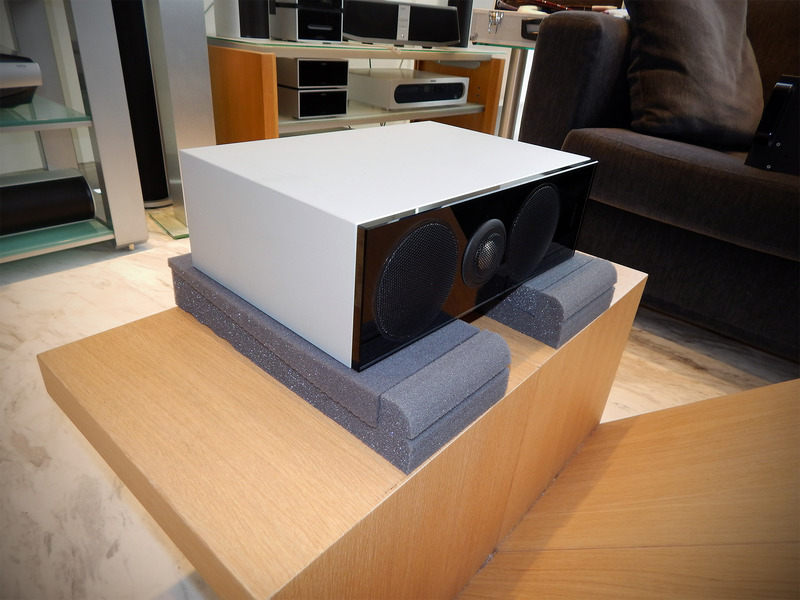 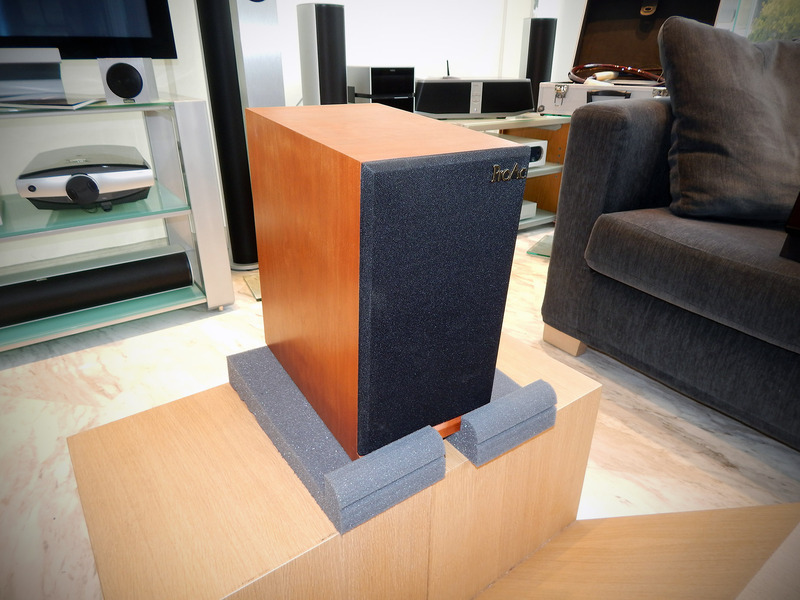 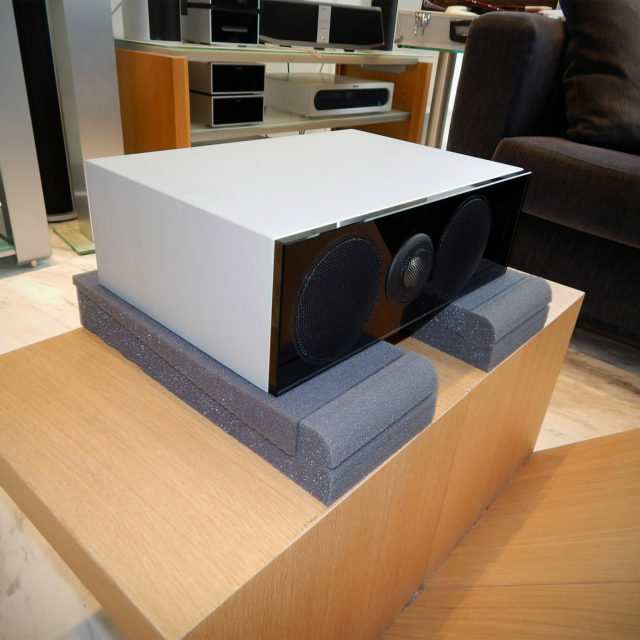 The combinations of the base part and the upper wedge, allows five speaker positioning angles (0°, ±4°, ±8°). 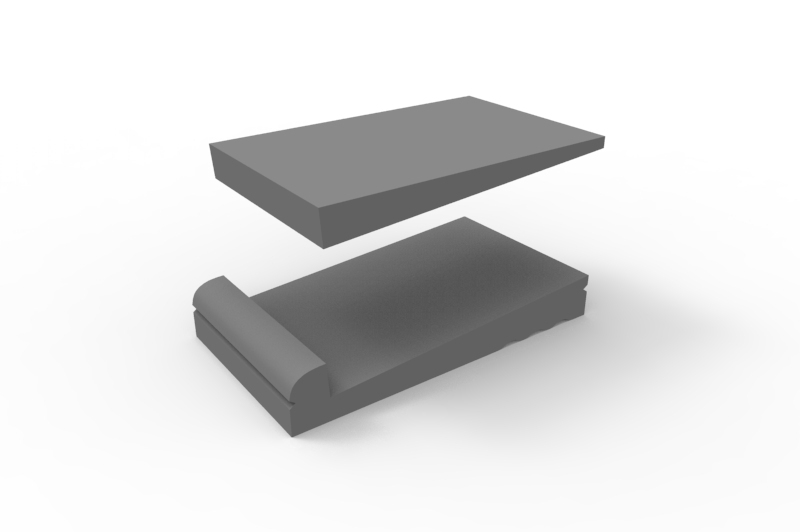 With the base and the wedge in standard position, it will be provided a level surface (0°) that is parallel to the supporting surface. 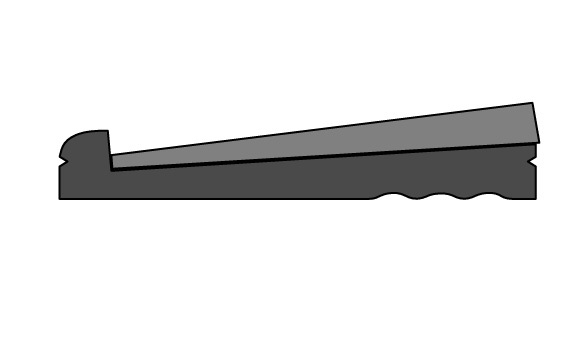 Alternatively, the wedge can be removed to provide a ±4° inclination, according to which way the base pad is resting. 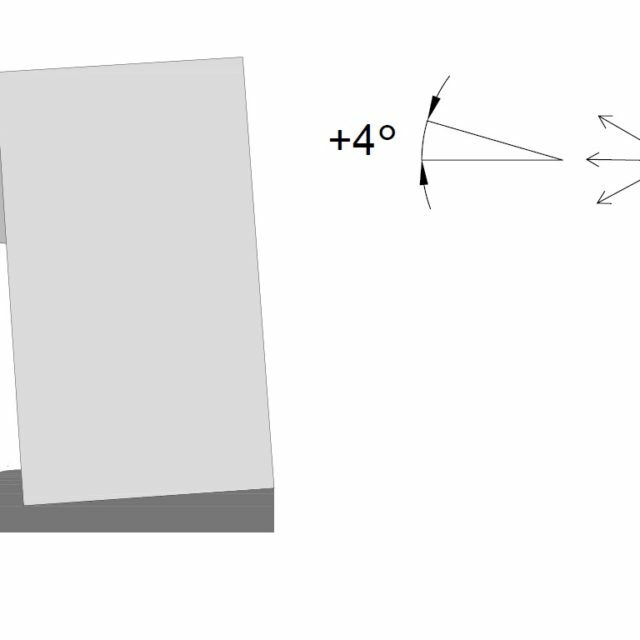 In addition, with the base and the wedge positioned upside down, it will be provide a ±8° inclination.